Ok, let's get started. 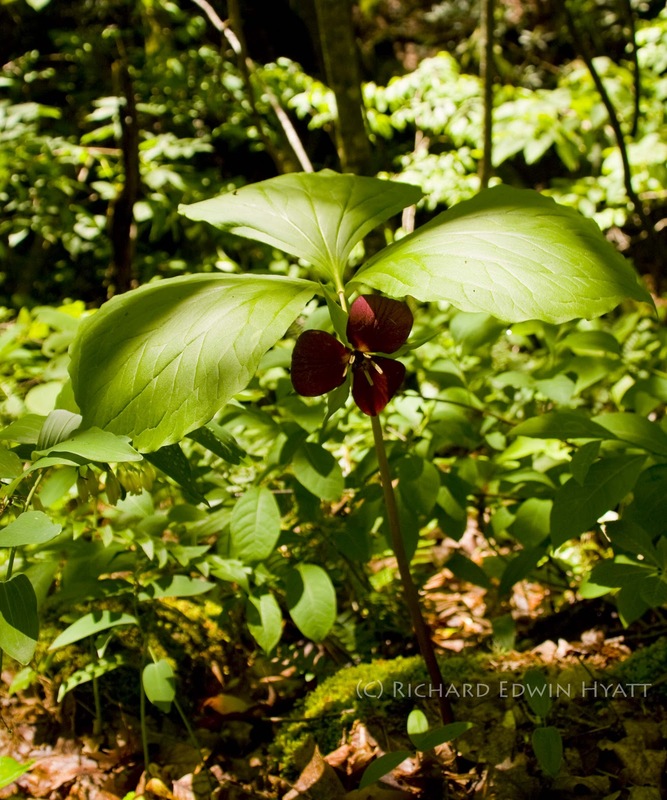 This is a Vasey's Trillium (Trillium vaseyi). I found this beauty on April 4, 2010 at Warwoman Dell, a US Forest Service picnic area. Warwoman Dell is 3.5 miles east of Historic Downtown Clayton, Rabun County, Georgia. Other wildflowers to be found here are Blood Root, Jack in the Pulpet, Solomon's Seal, Soloman's Plume and Dwarf Iris. There are too many more species including other Trilliums, too. Best flowering time is April and May. Also know as Sweet Trillium and Sweet Beth.